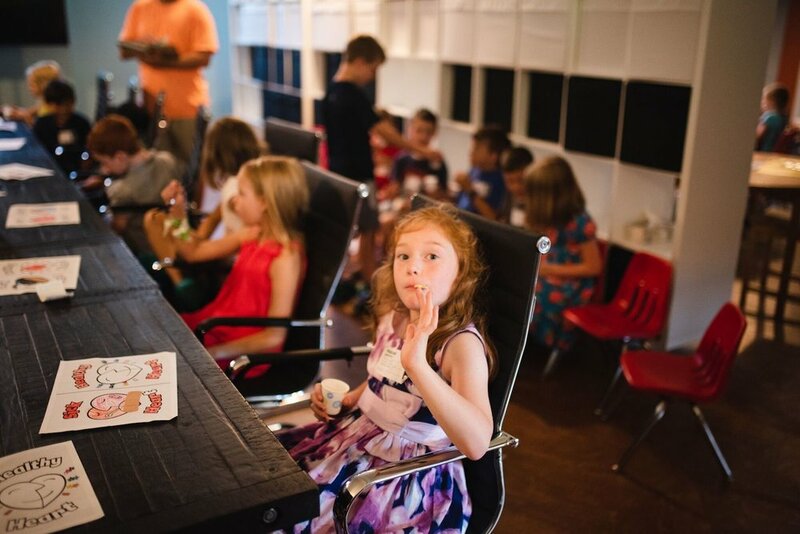 Your children will enjoy learning about Jesus with friends at Seven Mile Youth. Join us on Sundays at Seven Mile Road Church, a Christian church in Waltham, MA. Twice a month (1st and 3rd Sundays) our youth gather at 9:15am to be formed and shaped by the Gospel. Our hope is that our youth would grow in three essential elements of discipleship—Christian Story, Christian Belief, and Christian Formation. We want our youth to know who God is and what He has done to reconcile the world to Him in the person and work of Jesus Christ. We desire that our youth would be grounded in Christian belief and sound theology. And all of that shapes and informs how we live as followers of Jesus Christ. All of our volunteers are interviewed and background checked (National and State - CORI) to provide a safe and fun learning environment. We use the Gospel Story Curriculum to help our kids understand that the Bible is one story with Jesus as the hero. From Genesis to Revelation, the curriculum focuses on the the major passages of Scripture that tell the story of redemption. Youth are also encouraged to participate in the Sunday Gatherings from beginning to end. Check out the resource table for our Sermon Notes for Kids to help them as they follow along in the sermon. For more information about our policy, procedures, and philosophy of ministry, please click the QUESTIONS button below. If we can answer any questions about Seven Mile Youth, or talk about our policy, procedures, or philosophy of ministry, please let us know. We would love to start a conversation.